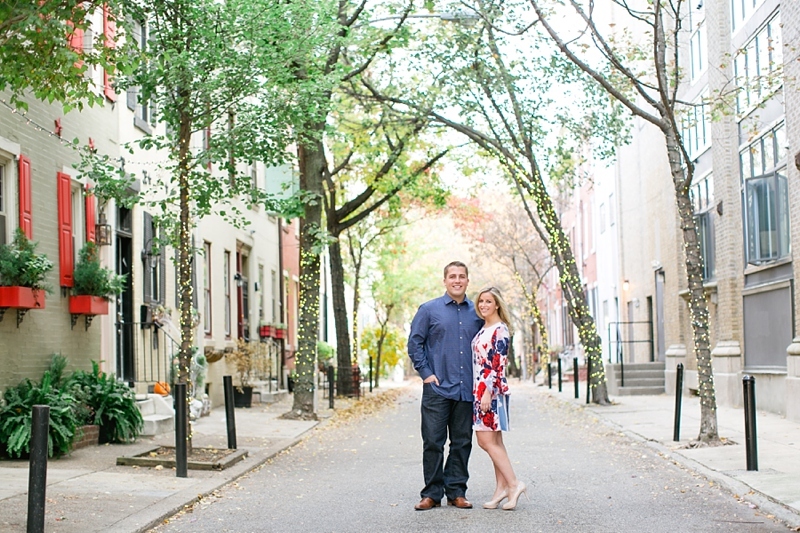 Rittenhouse Square is a nostalgic place for Suzanne & Noah, who live in Center City Philadelphia a few blocks away. 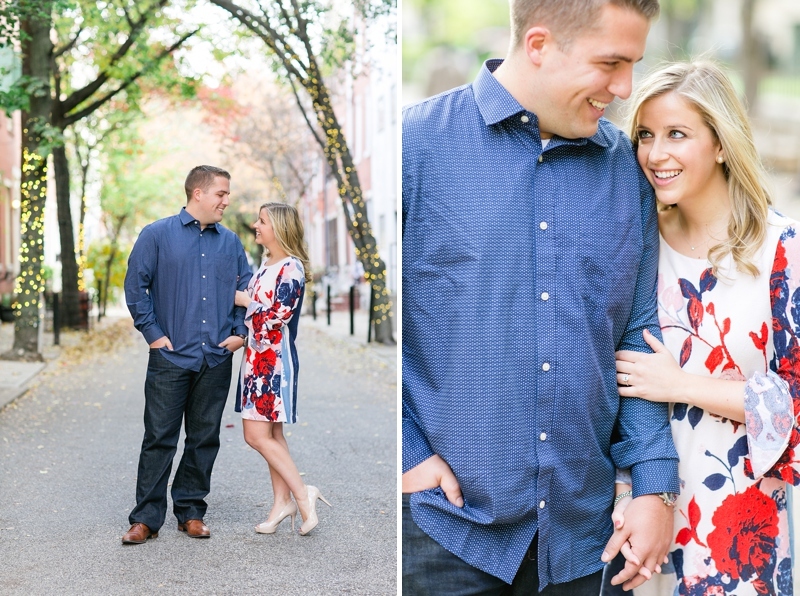 They've taken many strolls through Rittenhouse, hand-in-hand dreaming of the future. 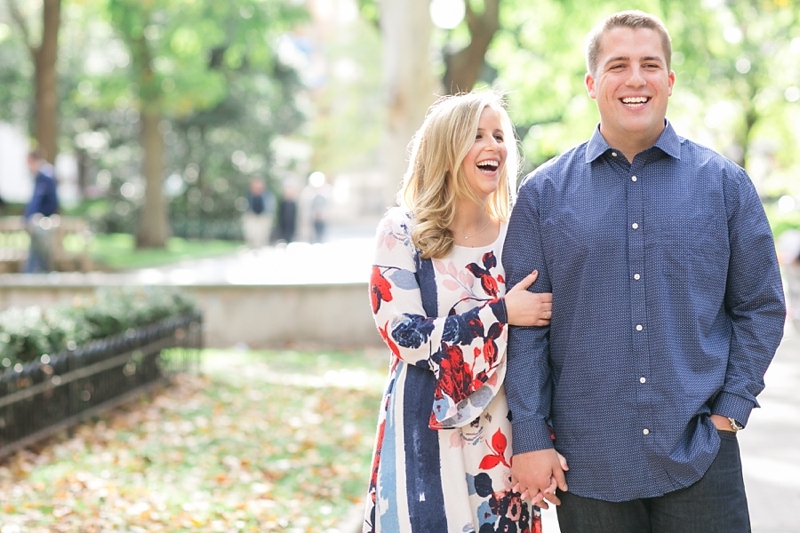 After dating for 5+ years, Noah planned a romantic proposal for the woman he adores: Noah set up a surprise picnic in Rittenhouse Square on a beautiful evening. He handed 12 roses to Suzanne, and each rose had a piece of paper with it: Noah had written something he loves & appreciates about her on each one. Then he popped the question! 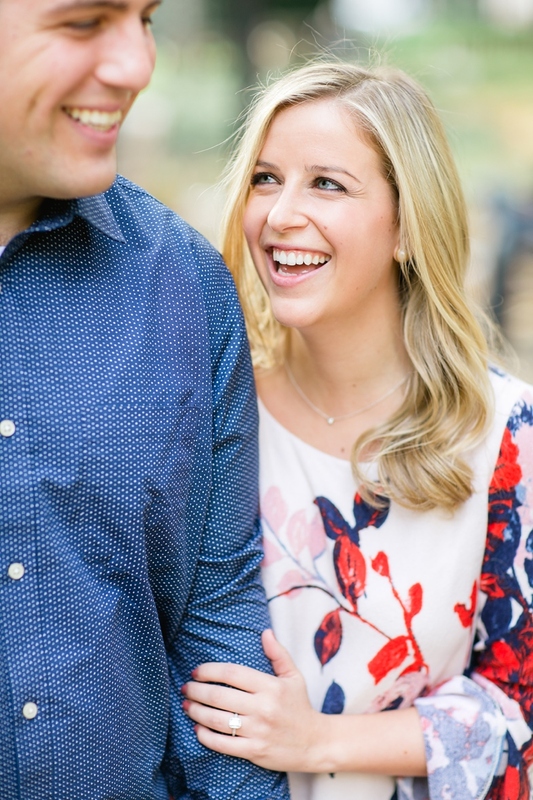 She was ecstatic about the engagement ring, and it’s extra special because the center stone belonged to her grandmother. 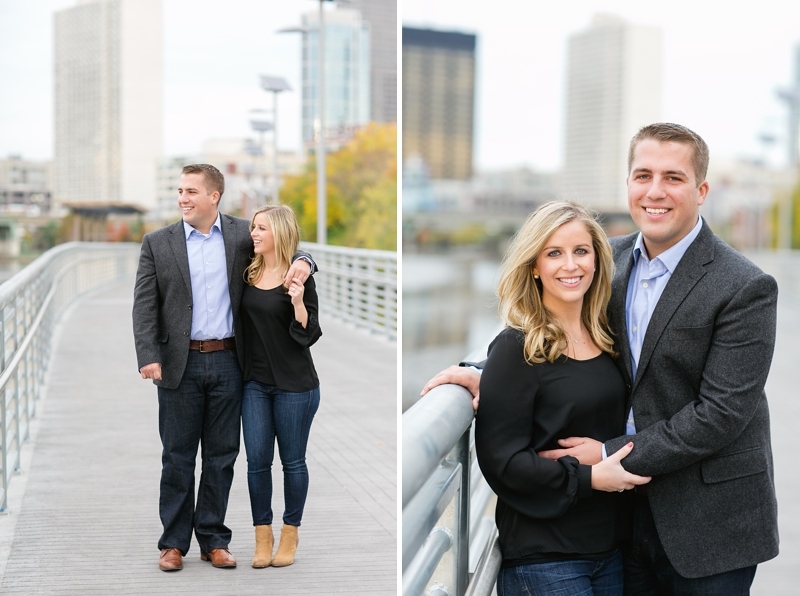 After the proposal, Noah brought Suzanne to a rooftop where he had planned an engagement party with friends & family! And it only got better---he surprised her with a weekend getaway at the beach the next day. What a special proposal. Philadelphia has such charming neighborhoods! This is my favorite....such contagious joy. And Suzanne, you are gorgeous. 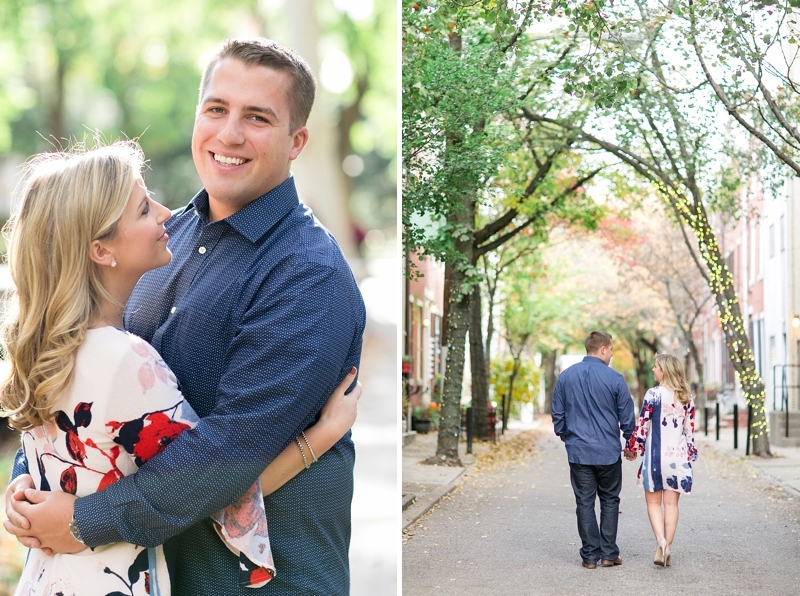 We snapped some photos in Rittenhouse Square, where they got engaged! I'm so excited for your summer wedding, you two!